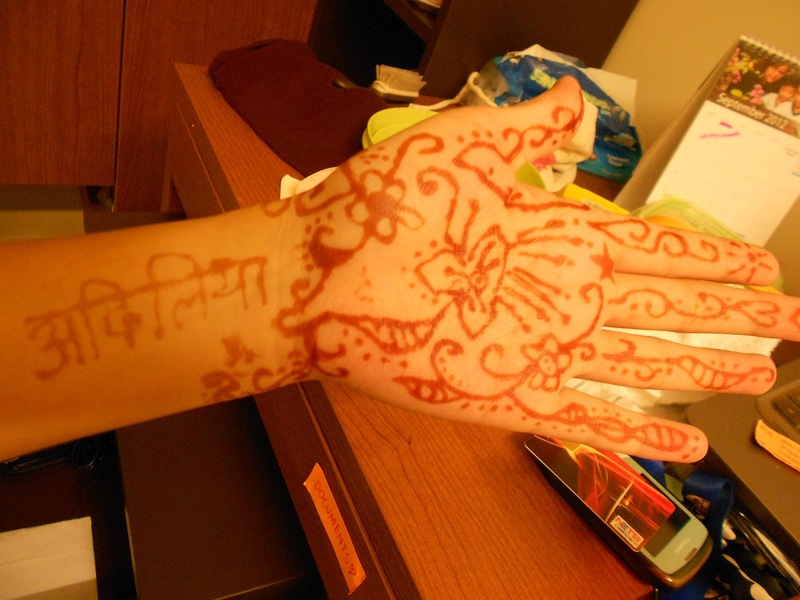 That’s my hand, painted with henna. the centerpiece and the Hindi letters were made by Syailendra, an Indian friend of mine. I hope that’s really my name and doesn’t mean donkey.